Let’s chat about what this program includes and what it will do for you! "I know there is more to life than what I am experiencing and I am ready get loving support to discover how to enjoy it, myself and finally feel fulfilled!" This all-inclusive, integrative program has been carefully crafted to remove obstacles/habits in your life that prevent you from living abundantly. Infused with customized energetic modalities, as well as scientifically tested methods, each session is carefully curated to ensure a personalized, holistic experience where you will be introduced to a plethora of tools to create your peaceful & joy filled, dream life. A transformed outlook on life... And much, much more to look forward to. $50 gift certificate to use toward any a la carte item or service @ The Ol' Victorian in Columbia Pa.
A life you LOVE begins here! I was ready for a change; exactly what, I didn’t know. I just felt like I was on the hamster wheel, round and round, day in, day out. I wasted away the weekends and the, ugghhh, Monday morning was here again so soon. I saw an ad for HSHP in a magazine and ripped it out, tucking it in my cell phone case for contemplation later. A few days later, I went to the HSHP web site and filled out the self assessment. I had no idea what I needed or wanted. I just knew I wanted something different. Used to being the boss, Mom, one in charge, I wanted someone to talk with without burdening a family member or friend. I wanted to be completely open with someone (actually myself) in a safe environment. I spoke with Heather and we agreed to work together. At that time, I still didn’t completely understand the why or how, or if anything would change or make a difference, but I took a leap of faith. At my very first session, Heather provided me with resources and encouragement. She gave me reading suggestions, personal exercises, and most of all, encouragement. Heather listens when I talk. I eagerly anticipate my sessions with her, feel energized afterward and spend the time in between enthusiastically living life. Within a few weeks, I was able to make some changes that had me excited to get out of bed in the morning. Yes, even on a weekday! When events would come along to frustrate or challenge me, I had new tools and a new perspective to take them head on, or even just acknowledge them and let them pass on by. I see many things differently now. When I get rejected, after sulking a tiny bit, I realize it wasn’t meant to be and look for what is meant to be. What’s wonderful, is “what is meant to be” shows up pretty quickly now. This is not a magic wand or pixie dust. I needed an open mind to try new tools and I needed to love myself enough to spend some time and money on me, instead of taking care of everyone else first. I wasn’t taking the time to think, plan or act for myself. In just a few short weeks, my investment with Heather has positively impacted my career, relationships, finances, spirituality and physical body. Everywhere I was stuck is moving and everywhere I was stale is starting to have new life. What’s changed? I sleep more deeply and peacefully. I smile more. I participate in my life more actively and with more passion. I really believe that I am in control of my happiness and have turned my “every day ordinary” into extraordinary. My relationships are deeper and more fulfilling. I recognize sooner when I am trying to change/influence something outside my power of influence and can let it go or move onto something more satisfying. I have become passionate about my work, not just the work I am getting a paycheck for, and may have actually found that elusive “purpose.” I have been offered a promotion at work – one that I am seriously considering turning down, so I can continue to develop what brings me joy. Have you read a few books, blogs, journal, made a vision board or just wished life could be different? Maybe you've tried to create something new or just improved life a little but get sucked back into your norm. Don't worry, I hear this All. The. Time. Every one of my clients has confessed they've read book on personal development, maybe even gone to therapy but they still aren't experiencing the change they'd like. It usually boils down to not being able to find a routine or system that sticks. That's where I come in, helping the self-motivated individual find easier solutions to changing habits, mindset and supporting you for a few weeks until it becomes your new routine. This program is for a current obstacle - the breakthrough you are needing to get where you’ve been wanting to be. It’s amazing to experience how the ripple affect of a few simple postive actions will have serious impact over time! Let’s get it started today! 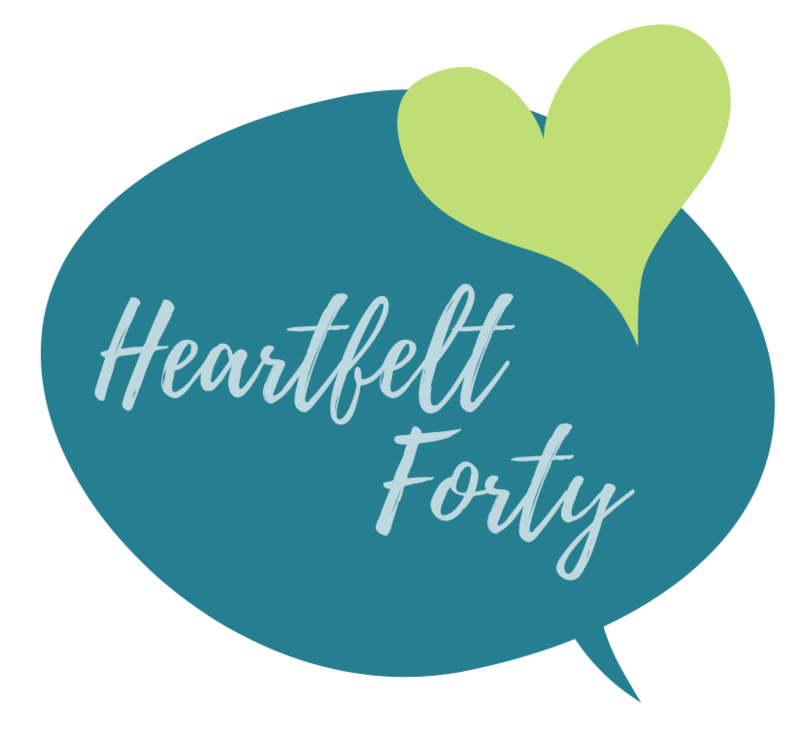 When you have a challenge or dilemma you would like to work though and you want an objective, expert to assist you with finding clarity or direction, that's when you schedule a Hearfelt Forty Session. We can work through struggles with increasing confidence, productivity, organization, setting and achieving a specific goal and or uncovering your purpose or passions and how to stay on the right track. This is a power session that will help you go deep, find the answers to questions that solve the "problem" and learn tools, techniques and simple strategies to allow you to get you from where you have been stuck to where you want to be. Cancellation policy with all programs: In order to avoid forfeiting any of your sessions, 24 hours notice to reschedule is required. **Certain bonuses may not be included with promotional offers.